Frankfurt is the gateway to Europe. 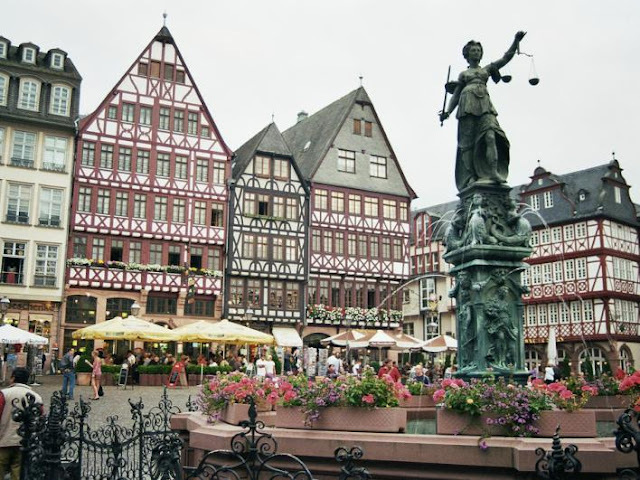 As an internationally diverse city, many interesting tourist attractions in Frankfurt. Ranging from arts, outdoor activities, shopping, historical buildings and high-rise buildings. Frankfurt is not a tourist town. But when you visit it first time, the atmosphere and the environment will be very impressive, so different than other cities in Germany such as Berlin, Munich or Hamburg. The city is a clear evidence of history, a blend of past and present. One of the tourist attractions in Frankfurt is Romerberg (Roman mountain) is the historic heart of Frankfurt and home to the town hall which has existed since 1405. 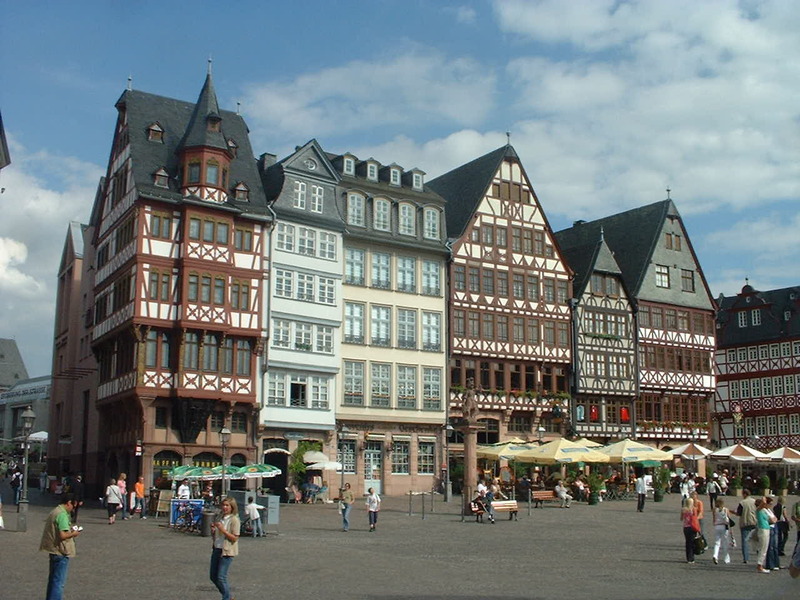 Historic square was once used as a place for the first trade fair in Frankfurt in the 13th century. The complex has a three-storey building area of 10,000 square meters, consisting of nine houses and about six outdoors. The main place to shop in Frankfurt is a bustling pedestrian zone called "Zeil". This region is also called "The Germany Fifth Avenue". This shopping center offers everything, started from luxury boutiques until department stores, 10-stories international modern shopping center called "Zeil Galerie". It is a favourite Tourist attractions in Frankfurt for most women who love to shop. 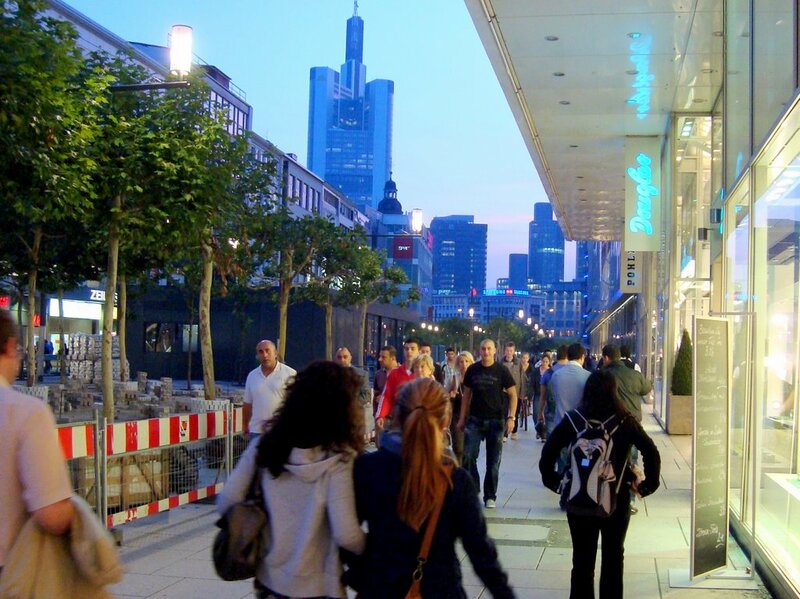 Shopping is one of the things to do in Frankfurt. 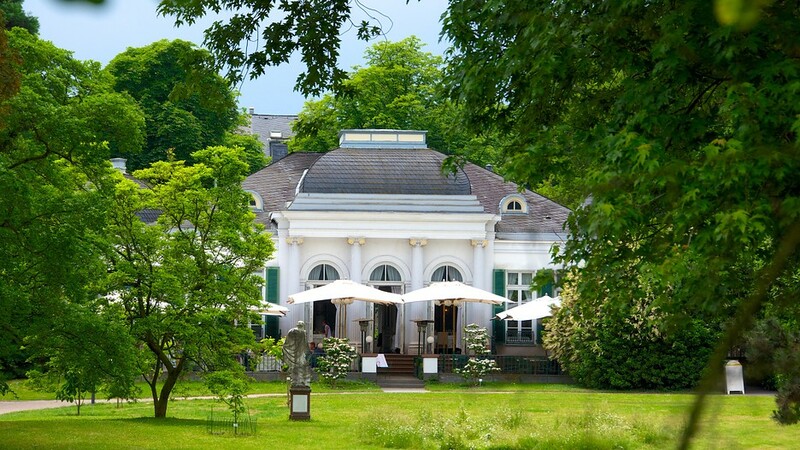 Established in 1868 by a group of people in Frankfurt, this garden will take you on a journey of horticulture of the African savannah and rain forest exotic plants flower garden in Europe. It has an area of 50 hectares of green house, you can see more than 6,000 botanical species from around the world. The botanical garden is located in Siesmayerstr 63, Frankfurt. Tropicarium is one of the largest greenhouse complex. This place displays tropical plants including orchids, Bromelias, palms, ferns, succulents and many more. This place is open every day 09: 00-16: 00 from November until January, while on March to October open from 9:00 am until 18:00. Paulskirche was built between 1789 and 1833 and was the birthplace of German democracy. This church was used for political meetings and be the first place chosen for the German parliamentary elections in 1848. 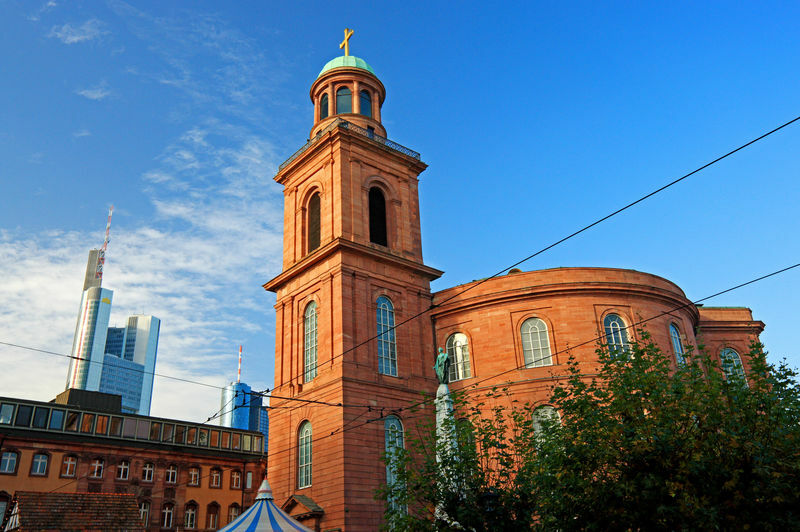 Today, Paulskirche used mainly for exhibitions and special events, and has become part of the tourist attractions in frankfurt. Visiting St Paul's Church Paulskirche is one of the things to do in Frankfurt. Gerechtigkeitsbrunnen was built in 1543 and renovated several times since the war. In the middle of the stands there is a statue of the Goddess of Justice carrying the scales of justice, but without blinkers. The fountain out of four angels under the statue of the Goddess of Justice symbolize Justice, modest attitude, Hope, and Love. At the time of the coronation of the emperor, the water that comes out is the wine and contested by the local community. The fountain of justice stands in the center of Römerberg. This city was ever destroyed by the British air force at the Second World War (WWII). The area was established in the 12th century. All buildings over there look very old although was newly reconstructed by the German government after World War II. When you visit Frankfurt in your leisure time, 5 things to do in Frankfurt above could be your recommendation.